What is Om? You may have heard it at least once in your life but shrugged it off, didn’t really think about it or just tossed it aside? However, there are those who have explored their spirituality through yoga, meditation, Hinduism, and other Eastern philosophies who probably have a general idea of what Om is. For one thing, it is often the first sound we hear during a yoga or meditation class. Why, though? What does it mean to begin with Om? To others, this 2-letter, 1-syllable word may seem insignificant and pedestrian, just one of those things “hippies” and “eccentrics” say or do. But those who do know what it signifies realize the magic and power that lies behind the syllable. Maybe even if you have heard of Om before and how it ties up with spirituality and mindfulness, I’m sure many of you haven’t heard of what it really stands for, all its underlying meanings and where it actually came from. For those starting their spiritual journey or those who want to dive in deeper into their beliefs, here’s a complete breakdown of the mystery of Om. Om is both a sound and a symbol and is considered sacred in both respects. It is used by people who practice Hinduism as a chant spoken on its own or as a precursor to other mantras like in “Om mani padme hum (Hail, jewel in the lotus)”. Om is used by believers not just of Hinduism, but also those who adhere to Buddhism, Jainism, and Sikhism as well. Actually, it is even believed that the Amen of Catholicism and the Amin of Islam came from Om (“a-u-m”). 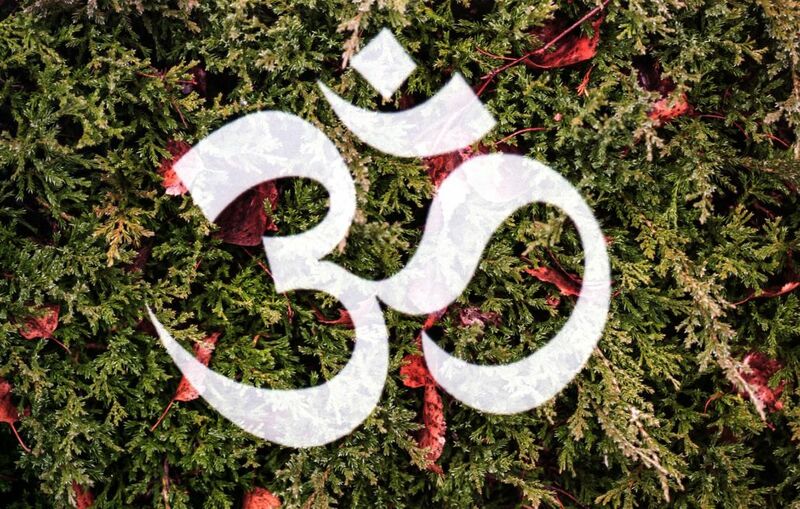 When written in Devanagari, the alphasyllabary of India and Nepal, Om serves as an icon that is placed in temples and scriptures of all Indian dharmas. However, there are variations to Om’s meaning when used by the different sects and cults that believe in its magic. As a sound, many believe that the Om vibrates at 432 Hz, or the musical pitch of the Universe, as compared to the 440 Hz frequency we get from modern music. So, Om is basically the sound of the Universe. It is the sound that unifies all living beings and represents all points in time, all states of being, all levels and consciousness – basically, all that ever was, ever is, and ever will be. If you’re wondering where it all began, we can trace back the mention and use of Om in the Upanishads. These are sacred ancient texts written in Sanskrit and contains the main philosophies and concepts of Hinduism, and then later on Buddhism and Jainism. The three dharmas are connected by this text and have been influenced by Om as referred to by the Upanishads. Om is particularly associated with the Vedanta school of Hindu philosophy where Vedanta literally means “end of the Vedas.” Vedanta is an umbrella term that satisfies many sub-traditions and focuses on the ultimate metaphysical reality (or Brahman), the individual soul or self (also known as Ātman), and the ever-changing nature of the empirical world (or the Prakriti). Therefore, when taking Vedanta’s associations with Om, we can say that Om is an all-encompassing symbol for all spiritual concepts. In fact, though it is more commonly pronounced and known as Om, the character is said to have three phonemes: “a-u-m.” These three sounds are said to be representative of the three stages of cosmic creation. Om is, therefore, a powerful prayer of sorts, is said to be the oldest sound in existence, and honors the mighty power of the Universe. Om represents the past, present, and future. It represents all of life’s modalities and greatest trinities: body/ mind/spirit, Father/Son/Holy Ghost, Brahma/Vishnu/Shiva, birth/ life/death, and so on. It is but a single letter and three phonemes but is able to hold such significance and power over people who meditate using Om. There are many different versions of how Om is written across culture and different time periods. As mentioned, the original symbol of Om is derived from the Devanagari script. However, it can be found in artifacts from all sorts of ancient civilizations like Sri Lanka, Thailand, Cambodia and even China. The symbols vary but all represent the same sound and the concept that underlies it. If we are to focus on the Devanagari, Gujarati and Historical Marathi version of the Om symbol, solid interpretations of Om can be identified by breaking down its written script. 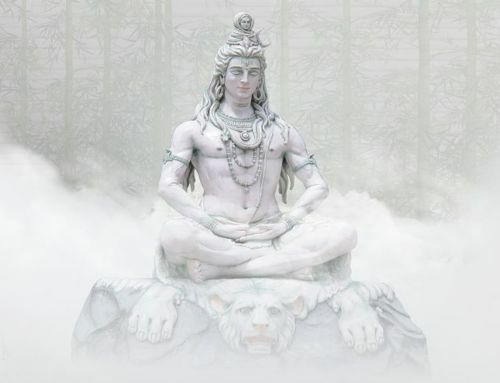 According to many believers of the Indian dharmas, the symbol for Om can be divided into 5 different concepts: the Deep Sleep or Unconscious State, the Waking State, the Dream State, the Maya or the Illusion, and the Samadhi or the Absolute State. The Unconscious State is represented by the top curve on the left side of the Om symbol. This is a state of Deep Sleep and is a symbol of man’s latent unconscious condition where no dreams and desires exist and the sleeper is subconsciously shut down. It is shushupti, signifying the M in “a-u-m.” It also represents Destruction. Just below the Unconscious is the Waking State, the large curve that reaches outwardly to the experiences brought to us by our five senses. This is a state of consciousness most commonly experienced by humanity. It is the conscious mind, the vaishvanara or jagrat, and represents Creation. The Maya is the line stricken above the 3 states of consciousness and existence. It is what gets in the way of Samadhi, basically preventing humanity from spiritual development, the realization of the ultimate truth and the highest state of bliss that we can possibly experience. These are the Illusions that separate us from the Pure Consciousness. Last but most certainly not the least is Samadhi, simply translated into “bliss.” It is what all conscious beings yearn for, what is clouded by the Maya, and is the purest form of Consciousness. The dot signifies the silence that follows “a-u-m” and is a state of consciousness that does not involve any inward or outward observation. This is the quiet, peace and bliss that is sought by all spiritual activities. In studying Om and the symbolism behind its written text, we should also take note of another important icon of Hinduism: Ganesha. Known for many names, this deity is best identified with his elephant head. He is said to be the son of Shiva and Parvati, and is dubbed as the “God of New Beginnings” and the “Remover of Obstacles.” Many scholars say that the physical form of Ganesha also shows the Om. The upper curve or the Unconscious State is the head or face of Ganesh. The Waking State is represented by his belly. Finally, the twisted curve or the Dream State is Ganesh’s trunk. As a multi-layered, multi-faceted religion, Hinduism’s symbols are open for interpretation. There’s really no way to know for certain if these assumptions about the connection of Om and Ganesha are true. The next time you see the Om, you might want to squint your eyes a bit and see if the symbol fits Ganesha’s curves. No other culture or religion is Om more deeply embedded than in Hinduism. The Devanagari form of Om can be found in temples and ancient texts. The Om originated, after all, from Hinduism’s Upanishads. In the text, Om is described as “the sacred sound,” “the finest essence,” “the ultimate reality,” “vehicle of deepest knowledge,” “the Ugidtha (song of the Universe)” and many more. According to the Chandogya Upanishad, the Om is the “highest song,” a symbol of reverence and the epitome of knowledge. The Maitri Upanishad emphasizes that meditating on Om is acknowledging one’s Self. The symbol of Om is also seen as the aid of the Self for introspection and self-reflection, as written in the Mundaka Upanishad. There are many more Upanishads that elaborate on the concept of Om and it is in these texts of Hinduism that every other religion derives the significance of Om from. Sikhism, despite being one of the youngest, is the 5th largest major religion in the world. Sikhism believes in one God, represented by Ik Oankar. This concept is related to the Om of Buddhism as Oankar is considered to be the equivalent of the Hindu Om. Despite these similarities and connections, Buddhism, Hinduism, and Sikhism all vary in their philosophical traditions. Tattoos – While these may not be the most spiritual of uses of Om, especially after learning how powerful and revered it is, many people do choose the original script of Om as their tattoos. No matter how deeply rooted or not a person may be in Hinduism, Buddhism or Jainism, it’s not surprising anymore to see someone with an Om tattoo. Breathing – As used in meditation, the repetition of the sound of Om is said to slow the breathing. With slow and steady breaths come a more relaxed nervous system as well. Stress and Anxiety – Whenever we chant Om, we focus on its sound and leave the rest of the world behind us. All our stresses and anxieties are overpowered by the Om as we focus on the here and now. This is a great way to both ground and uplift oneself during moments of great distress and tension. Manifestation – Many also use the sound of Om for the wonderful creative power it holds. As the first sound in the Universe, it is a great way to call forth the strength that lead to the world’s creation. We can use Om to set good intentions and to send out to the Universe what we want to receive. The sound of Om is basically a powerful tool to speak to the Universe and to manifest positivity back into our lives. Spinal Cord – Another part of ourselves that the Om taps into and soothes is our spinal cord. Studies have shown that the A in “a-u-m” significantly affects and strengthens our spine. Emotions – As human beings, we are naturally emotional creatures. We react to situations with our emotions, and sometimes we experience emotions even before anything happens. Our survival instincts have taught us all about fear and how it is necessary for us to survive. However, carrying this fear with us all the time tends to have negative effects too. When we chant Om in times of doubt, isolation, or any manifestation of fear, we change the frequency of our emotions from negative to positive. Collective consciousness – When chanting Om and meditating in a group, the vibration naturally increases and stretches farther and wider than when we’re doing it alone. Think of it as an amplifier to a guitar or a microphone, where the initial sound is taken to a whole new level. Think about it: Om is the sound of the Universe and the more that people chant and set positive intentions with it, the better all of our lives will be.